I was born to be with you. I will be in Vancouver to admire the show during 2 evenings. The colors of my clothes will be yellow, black and white, the same colors as the bill of the tour. Im set 2 in phoenix, 1 in chitown, 1st in boston ! Ive got this. Can Bono send me the concert live to my I-Pad? 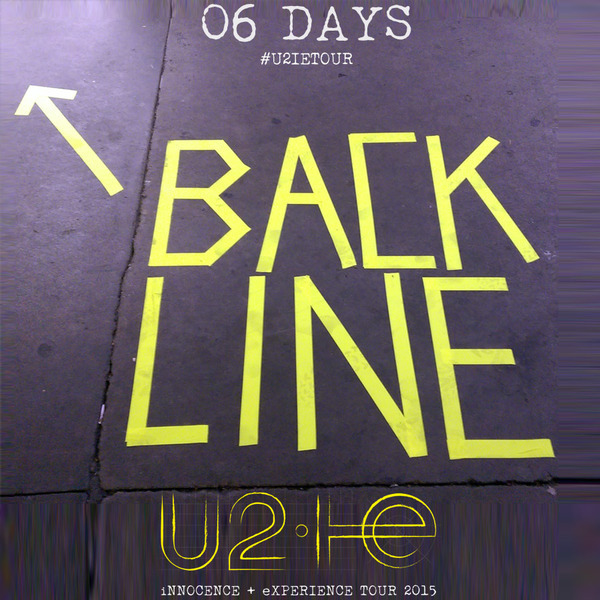 Veel succes U2 and Crew with this iNNOCENCE AND eXPERIENCE TOUR 2015! Make a great DVD for us like the even better than the real Fans. Love and light, Detlev. can we have some footage of the shows, as the tour progresses please? Can´t wit for the tour to came to Portugal...or at least, to Spain.Love you guys!